FRIDAY, April 1, 2016 (HealthDay News) -- There is a large variation in how often U.S. pediatricians diagnose and prescribe drugs for attention-deficit/hyperactivity disorder (ADHD) and other mental health conditions, a new study suggests. Researchers found that among children seen at pediatricians' offices in over a dozen U.S. states, 15 percent were diagnosed with a mental health condition over five years. Most often, that meant ADHD -- which accounted for close to two-thirds of all of those cases. Just over 3 percent of kids were diagnosed with an anxiety disorder, and 2 percent with depression, the findings showed. However, there were large differences from one pediatrician's office to the next, the study found. The proportion of kids diagnosed with ADHD at each practice ran anywhere from 1 percent to 16 percent -- making it the disorder with the greatest variability. For other conditions, the differences across practices were smaller, but still significant, according to the researchers. What's not clear is why, said Stephanie Mayne, a research associate at the Children's Hospital of Philadelphia who worked on the study. One factor that did matter, she said, was whether child psychiatrists were available in the local community. When they were, kids were less likely to be diagnosed with a mental health condition, or receive drug treatment. "But that only partially explained the variability," Mayne said. "We need more research to understand the reasons." It's to be expected that pediatric practices would have some differences in diagnosing and treating mental health conditions, according to Dr. Alexander Fiks, the senior researcher on the study. But, he said, it was "a bit surprising" to see the wide range, particularly in ADHD diagnoses. In the United States, ADHD is usually managed by primary care doctors rather than psychiatrists, Fiks pointed out. Plus, he said, there are national guidelines for pediatricians to follow in diagnosing the disorder. To Dr. Rahil Jummani, a child psychiatrist who was not involved in the study, the findings may partly reflect a lack of mental health training for pediatricians. "In medical school and during training, they have little exposure to the bread-and-butter of what child psychiatrists do," said Jummani. He is an assistant professor of child and adolescent psychiatry at NYU Langone's Child Study Center, in New York City. So even though there are guidelines to help pediatricians manage mental health conditions, they may not necessarily be comfortable with them, Jummani said. And, Fiks added, when it comes to treating those disorders, pediatricians aren't usually trained in nondrug, behavioral therapies. So unless they can refer families to a mental health professional, they will usually prescribe a drug, he noted. The study was published online April 1 in the journal Pediatrics. The study findings are based on electronic medical records for almost 295,000 children and teenagers seen at 43 U.S. pediatric practices between 2009 and 2014. Overall, 28 percent of practices said there were no child psychiatrists available in their community. Children at those practices were 40 percent more likely to have a mental health diagnosis in their medical records; they were also 60 percent more likely to be given a psychiatric drug, including antidepressants and stimulant medications for ADHD. In contrast, there was no apparent effect when pediatricians had mental health professionals on site. Mayne suggested a possible reason: Those providers may often be psychologists or social workers, who usually do not give formal diagnoses or make decisions about drug prescriptions. 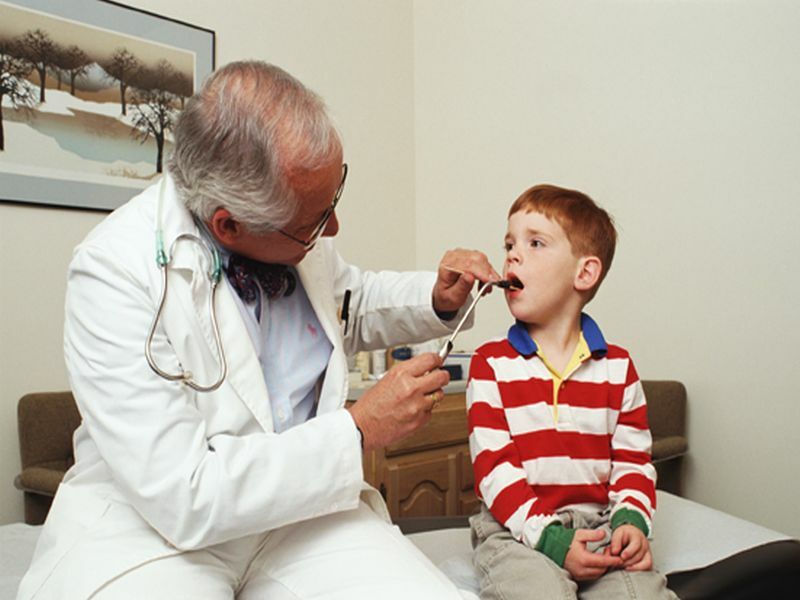 So their presence alone might not affect pediatricians' diagnoses or prescription rates. For parents of children with mental health symptoms, it's important to be sure their pediatrician is "comfortable" with diagnosing and managing psychiatric disorders, Fiks said. "We do know that, in general, when people do a lot of something, they get better at it," he said. Jummani agreed. He suggested that if your pediatrician does diagnose your child with ADHD or another mental health condition, you have a "good discussion" about the reasons for the diagnosis and how it can be managed. And it's "reasonable," Jummani added, to get a second opinion from a mental health specialist if that's possible.